Chennai : A day ahead of a critical by-election here, sidelined AIADMK leader T.T.V. Dinakaran's faction on Wednesday triggered a major row by releasing a video clip of the late J. Jayalalithaa purportedly on her hospital bed, forcing the Election Commission to tell TV channels not to telecast it. The ruling AIADMK cried foul and asked the poll panel to stop the telecast of the clip that showed Jayalalithaa drinking something from a plastic container, apparently while watching television. The ruling party contended that the video was released with a "motive" before the high-stakes by-election in the R.K. Nagar Assembly constituency on Thursday and said a case should be filed against those responsible. There was no indication as to when and where the video was shot. Fisheries Minister D. Jayakumar alleged that leaking the video clip was a misuse of the proximity enjoyed by the Sasikala family with the late leader, particularly during her last days at the Apollo Hospital. It was also in violation of election rules, he alleged. Jayakumar said the video clip, if at all, should have been presented before the judicial commission set up to inquire into the death of Jayalalitha last year. Instead it was done with the by-election in mind. Rejecting to the minister's charges, Dinakaran faction spokesperson Thangathamizhchelvan said there was no motive behind the release of the video clip which was shown to dispel allegations that the Sasikala family had a hand in her death. He also rejected the demand for action on the issue saying the Commission was not taking any action on the distribution of money to the tune of Rs 6,000 per voter in R.K. Nagar by the ruling AIADMK. If any action was to be taken, it should be against the bribing by the ruling AIADMK, he said. Dinakaran is contesting as an Independent in the by-election against AIADMK's Madhusudhanan, DMK's Marudhu Ganesh and BJP's Karu Nagarajan among others. Meanwhile, Returning Officer Praveen Nair told television channels to stop showing the video clip, saying it violated Section 126 of the Representation of the People Act. The provision bars display of any material by cinematographic or electronic means in areas going to polls on election eve and is a punishable offence. Vetrivel, a disqualified MLA belonging to the Dinakaran group who released the video clip to the media, denied it had anything to do with the by-election. "The video was shot by V.K. Sasikala after Jayalalithaa was shifted to a general room from ICU," Vetrivel told reporters here. K.C. Palaniswamy, a former AIADMK MP, said: "It is for Apollo Hospital authorities to clarify whether such a room actually exists in their hospital here and whether the video clip could be genuine. "The genuineness of the video has to be established. Our point is that what happened to Jayalalithaa at her residence before she was rushed to Apollo Hospital on September 22, 2016," Palaniswamy said. Referring to Apollo Hospitals Group founder and Executive Chairman Prathap C. Reddy's statement on Saturday that doctors were advised not to reveal that Jayalalithaa was in a critical condition, Palaniswamy wondered as to who advised the doctors. Jayalalithaa was admitted to Apollo Hospital on September 11, 2016 and died there on December 5. The hospital had said she was admitted for fever and dehydration. K.S. Gita, a friend of Jayalalithaa, said the video seemed to be fabricated and was released with a view to get votes in the by-election. She said the video clip does not have a date. The BJP called the timing of the video clip release as improper. 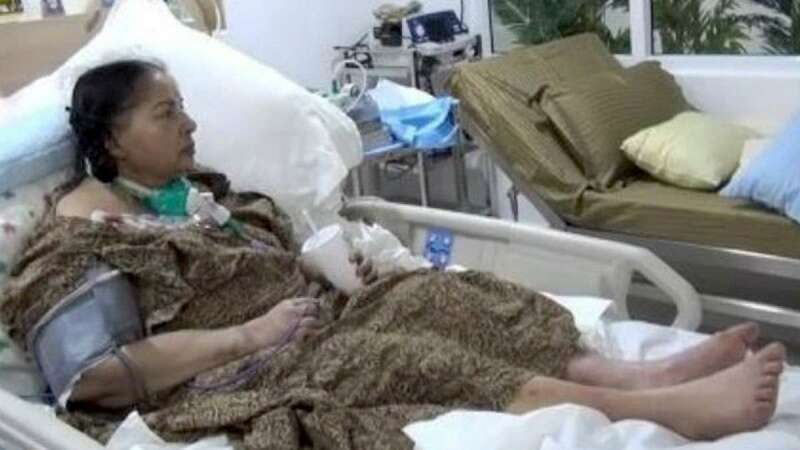 Earlier, Dinakaran had stated that he would release a video clip of Jayalalithaa in the hospital at appropriate time. Officials of Apollo Hospital were not available to comment on the video clip.